Last month, I was sitting at my desk doing media tracking for Canadian Family magazine, FASHION magazine, Glow magazine, and Weddingbells magazine when I overheard (well, being in an open-spaced office, you overhear everything!) editors say we landed Lady Gaga for our February issue of FASHION. My eyes instantly widened out of excitement that we actually landed someone epic! I mean, last month's issue with Courtney Love was cool but it didn't get many media pick ups. It kind of just died down after a few weeks. With that being said, the female Don, formerly known as Stefani Germanotta is a living, breathing canvas and she sat with FASHION's features editor Elio Iannacci to talk about her latest obsessions and her current album, Artpop, before her upcoming world tour. 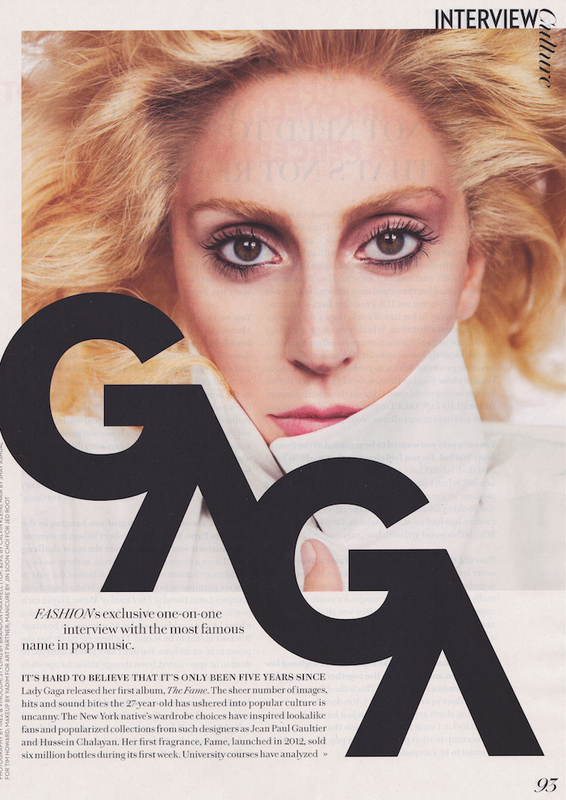 Here is a sneak peak of the exclusive interview in FASHION Magazine—which will hit newsstands on January 13, 2014. To read our cover story, pick up the FASHION Magazine February 2014 issue starring Lady Gaga, available on newsstands or digitally on January 12, 2014.